The Ultrospec? 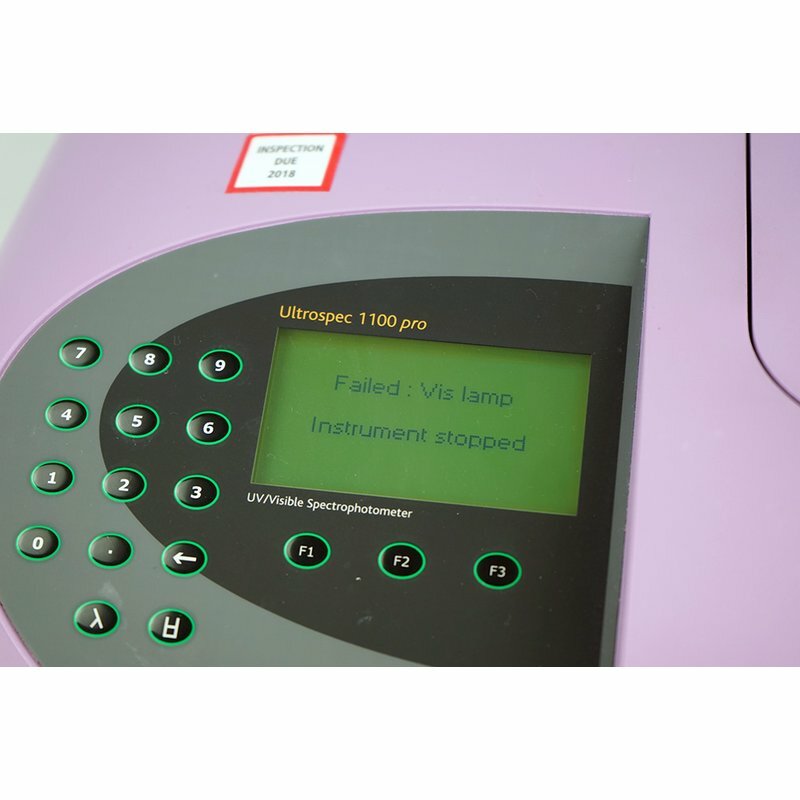 1100 pro UV/visible spectrophotometer is an easy to use instrument that is optimized for the biological science teaching laboratory and for industrial, utility QC, and environmental testing situations. In addition to the basic modes of operation, the instrument has enhanced software and method storage functionality while menu options can be password-protected if required. 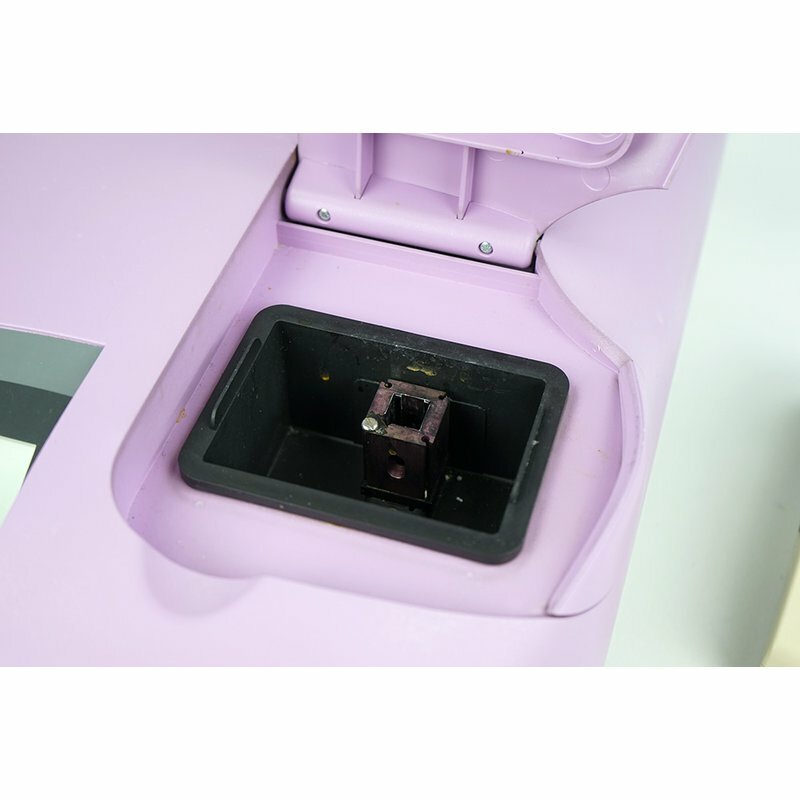 The instrument will output alphanumeric text to a standard parallel printer (not bi-directional) and connect to a PC using a custom, serial interface lead. It can be used in conjunction with SWIFT 1000 software, or made to download directly to a spreadsheet. 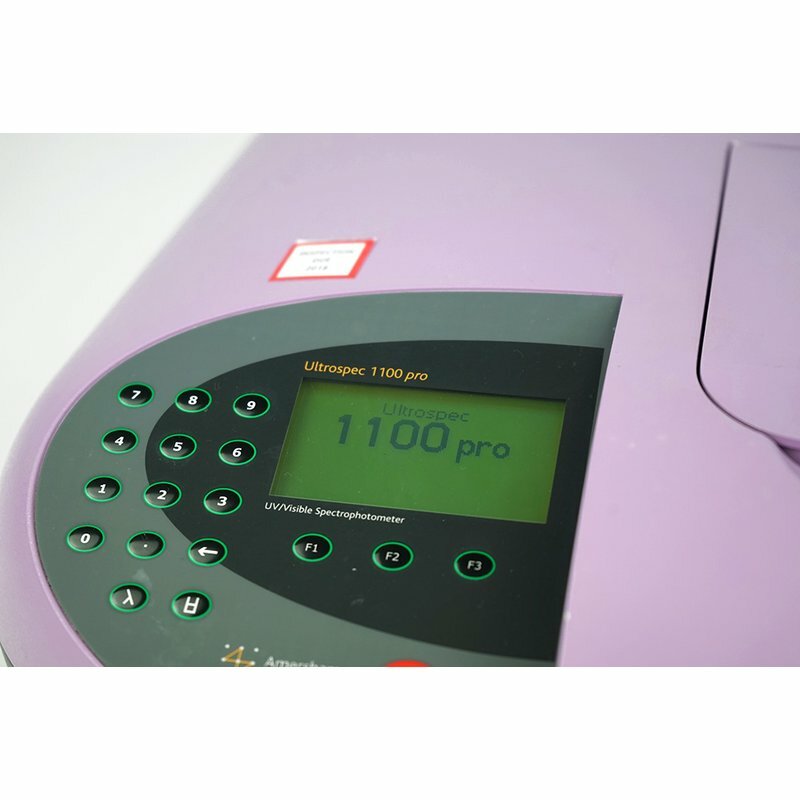 The UV lamp on Ultrospec 1100 pro can be switched off when the required measurements are in the visible region only. 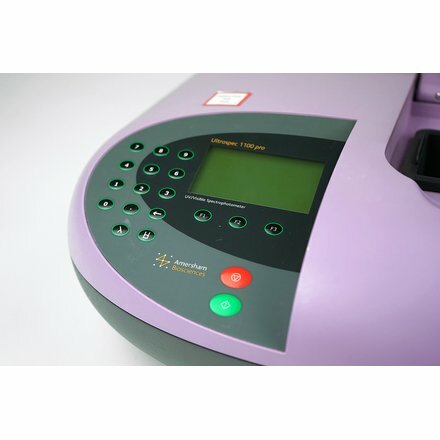 The instrument is supplied complete with a single cell holder that can accommodate standard 10 mm pathlength cells (disposable, glass, or UV silica). To clean the sample compartment, simply pull it out and wipe it clean. 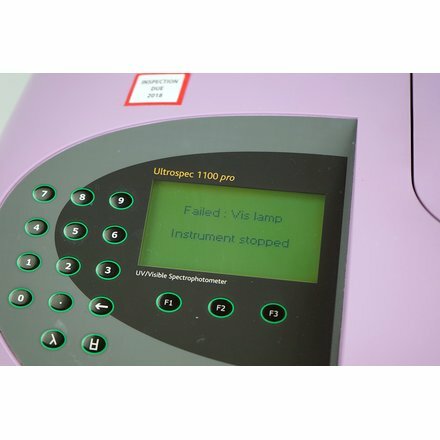 Ultrospec 1100 pro has a multipurpose output connector on the rear panel, and will output alphanumeric results via a Centronics cable to a standard parallel printer (not bi-directional) if connected. The time intervals and scan modes will output to a chart recorder if the appropriate interface lead is used. The back-lit liquid crystal display has large characters that are easily visible?and useful if a group of students are gathered around for a demonstration. 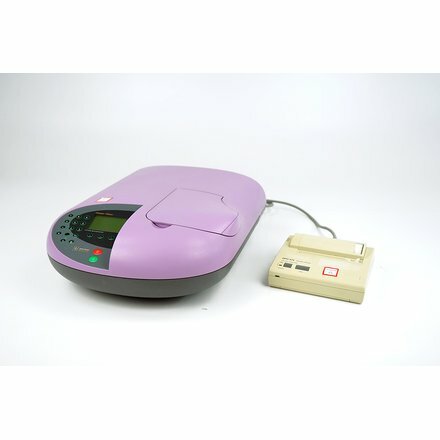 The keypad is a very hard-wearing spill-proof membrane. The units are in good cosmetic condition. They are both functional tested but need a new uv/vis lamp before next operation.